We absolutely love autumn in Charlottesville! There are several reasons for this, including the cooler air that allows us more comfortable time outdoors, beautiful foliage everywhere you look, and great options for fall themed fun. 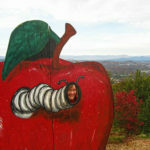 If you are planning to visit Charlottesville in the fall (which you should!) here is what we feel are some activities to make up a perfect fall day. Pick and choose, because they can’t all fit in one day, or stay the weekend and enjoy more fall fun! mountain top view of the city of Charlottesville behind you? What about having a glass of wine afterwards? Carter Mountain isn’t just fun for the delicious apples you’ll pick and come home with- there are so many options to make Carter Mountain a memorable time spent with family and friends. Spend time shopping around in their little country store for some early holiday shopping. Afterwards, you can have a glass of delicious wine from their Prince Michel tasting room while staring at the beautiful fall view or even a tasting flight of Cider from their Bold Rock tasting cellar. If you don’t want alcohol, don’t worry- there’s the option of warm cider and apple cider donuts that can’t be beat! And if you’re really hungry, they serve farm-to-table home-style food as well. Carter Mountain has special events going on through the fall, so check out their website to see if you can make it on a day when there is even more to see and do! A UVA Football Game– It is college football season, so if you’re in Charlottesville during this time, don’t miss out on a UVA football game! Whether you are a fan or not, it is fun to experience the college game day atmosphere and a unique football stadium. Don’t miss out on the opportunity to enjoy some time on “the corner” or anywhere on W Main Street for a bite to eat before or after, or a walk around the beautiful, historic campus for a full day of UVA! A Scenic Walk– When the leaves are vibrant and beautiful in the fall, you can take a walk almost anywhere in Charlottesville and the surrounding areas to enjoy a lovely view. However, some trails in Charlottesville just seem made for the season. The Saunders-Monticello trail is one of them. 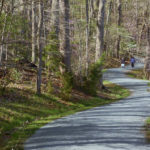 It is a very mild walking trail that is about two miles long (four miles both ways), and if you make it the full way, it will take you right to the guest area at Monticello. The walking trail is surrounded by foliage so you can enjoy a relaxing walk with the views and smells of fall surrounding you. certainly has the best views. The fact that it is some of the most popular cider in the area with both guests and locals helps as well. With sweet, hard ciders, seasonal flavors, and a couple of dryer varieties available, their cider suits most tastes. They also have a small menu available in their tasting room. The best part of the experience, though, is enjoying your glass of cider on their back porch, by their fire pit, or even while taking a walk down to the creek area on their property. The views of the mountains are unbeatable and provide for a relaxing fall experience. you’re looking for pumpkins to carve or just to use to decorate your home, Chile’s Peach Orchard is a nearby location where you can pick your own. Find out about their pumpkin season on their website, and while you’re there you can pick apples and enjoy fall goodies like hot cider and apple cider donuts as well! Don’t miss the photo op with your bright orange pumpkin against the colorful mountain views. We hope to get a chance to experience all of these fall activities in our favorite city, and we hope you will, too, when you stay with us! We’d love to hear from you! What looks most fun to you on this list? 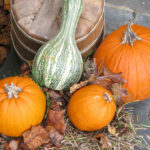 This entry was posted in Charlottesville, Charlottesville VA, Cider, Fall, Local Foods, Monticello, Outdoor Activities, VA and tagged charlottesville, charlottesvilleVA, fall, things to do by Foxfield Inn. Bookmark the permalink.